Do you remember going to school as a kid and being served lunch with a scoop of mushy, oddly colored vegetables that tasted weird? I have a vivid memory of this as a kid and trying to figure out why they looked so different and tasted so yucky compared to the veggies we ate at home. I soon learned that the difference was because they were commercially canned and definitely nothing like my mom's home preserved veggies. Growing up in a family that ate primarily homegrown, canned and preserved foods turned me into a food snob! It took me years to realize the true gift I was given by my mom, grandmother and great grandmother when they taught me the self-sufficiency skills to can and preserve our own food. 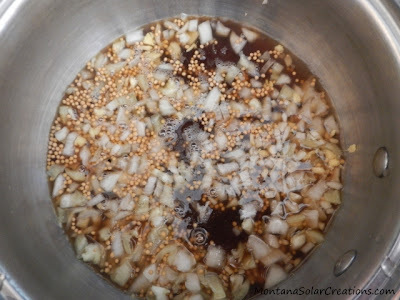 As I made my way into adulthood in my early 20's, I found myself returning to my roots and started canning and preserving the little that I could while living in small rental spaces in town. Now that I'm in my 30's, canning and preserving has become a natural part of my life and keeps me busy all summer long. Since we currently don't have a lot of space to store canned goods where they won't freeze, I preserve the majority of our foods by freezing and only do a little canning each summer. Whatever methods you choose for food preservation it is a fun, frugal, healthy way to feed yourself and your family throughout the year. If you can grow your own food or buy it locally at a low cost, with a little of your time and effort you can preserve it to feed your family healthy food for a lower cost than buying it at the store in the off season. Be warned though, canning and preserving your own food will likely turn you into a food snob! If you are new to canning and preserving, I highly recommend picking up a copy of the Ball Blue Book Guide to Preserving . This has been my favorite go-to guide since I started doing my own canning and preserving and includes user friendly how-to guides, tips and recipes. We have a friend in town with a plum tree who does not like plums. Sounds crazy, right? Lucky for us I guess since every summer I head into town and pick as many plums as I want for free. 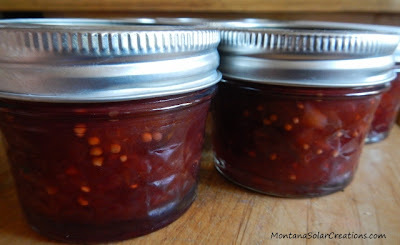 One of my favorite recipes to use up all our free plums is this delicious Sweet and Spicy Plum Sauce. Our favorite way to serve it is on top of grilled venison steaks. Yummy! I prefer to can this recipe in small 4oz and 8oz size jars which is the perfect amount for our small family, choose which size will work best for your family. You can also easily cut the recipe in half for a smaller batch if you prefer. To prepare your jars and lid rings for canning, place them in a large bowl or sink filled with hot soapy water. 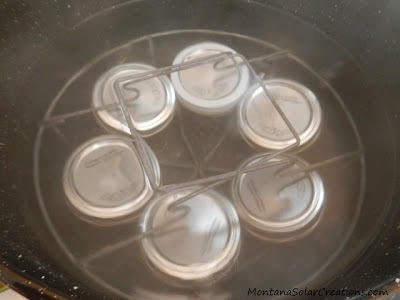 Fill your water bath canner with water, place on stove and heat water to boiling. While the water is heating, wash and pit plums. 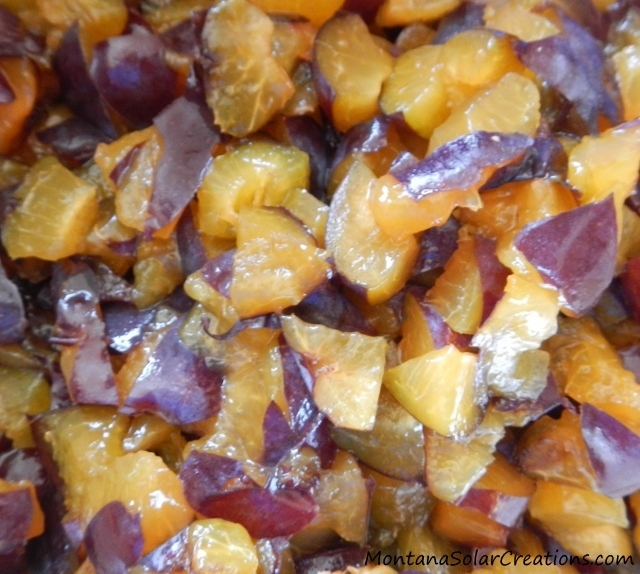 Then chop the plums into small pieces. In a large pan, combine the rest of the ingredients and bring to a boil. By this time the water in the canner should be boiling. 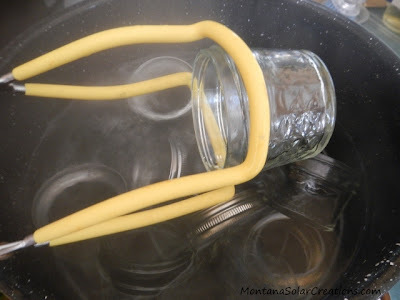 Wash jars and rings in the soapy water, rinse in hot water and carefully place them in your canner. Place lid on canner and boil for at least five minutes to sterilize them. The sauce in your large pan should now be boiling. Reduce the heat to medium and add the chopped plums while continuing to stir until the sauce thickens. Once thick, turn off heat. Place a clean dishtowel on your counter or work space. 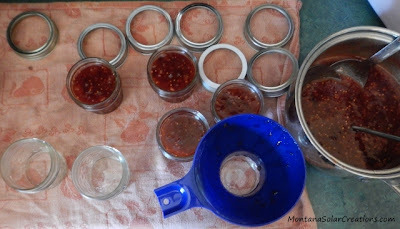 Carefully remove the jars and rings from the canner and place them on the dishtowel. While the glass jars are still hot, use a canning funnel and ladle to fill the jars with the plum sauce. Leave about 1/4"-1/2" headspace. After the jars are done processing, carefully remove from the canner and place on the dishtowel to cool. You should start hearing the "POP!" that is music to every canner's ears and means that the jar has sealed properly. If the jar does not pop within the next several hours, it did not can properly and will need to be refrigerated and eaten in several days. You did it! Congratulations, you just canned some really tasty plum sauce to enjoy throughout the year. There are so many foods, sauces and spreads that you can can and preserve to feed your family. If you're feeling adventurous you can try pears, cherries, salsa, tomatoes, jam and even chicken stock. The possibilities are endless! What have you canned and preserved lately? *Adapted from the Ball Blue Book of Preserving 2003 edition. Annie lives in western Montana with her husband, 1 year old daughter and two lazy dogs. Annie is a frugal, nature loving, simple living, work from home mama with an Etsy shop. 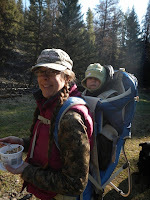 She also has a blog where you can find DIY projects, recipes, natural living tips and stories about their outdoor adventures in Montana. Thank you, Annie for sharing your delicious recipe and awesome canning tips with us all today! :) Be sure to stop on over at her blog and give her a follow. It may be time for me to pull out the canning supplies again!